Ricky Graham is a highly inspired and enthusiastic musician and music producer. His music encompasses everything from ambient to experimental to progressive rock. His music is a full on experience, diverse in sound, style, and mood. It reflects his passion for music, his skill, and his unique approach to his art. Graham has toured extensively throughout the UK, Europe, & Asia promoting various music releases since 2006, recorded various sessions for BBC radio, and his productions have featured on regional and national UK radio. Ricky has been involved with one of Ireland’s most prevalent electronic music festivals, Celtronic, since 2008, sharing the stage with Mary Anne Hobbs (BBC Radio 1) and Boxcutter (Planet Mu) in 2008, and electronica legend, Ulrich Schnauss in 2009. 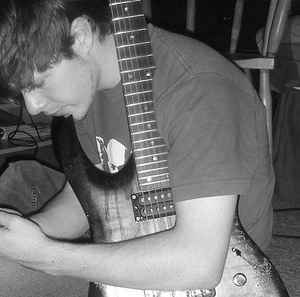 Ricky currently writes and performs under the alias, signalsundertests, a collaborative music project established in 2008, whilst working as a Researcher and Lecturer in Music at the University of Ulster in Northern Ireland. Ricky has presented a series of research papers concerning performance technologies and relevant theoretical research at conferences in the UK, notably the SMI (Society for Musicology in Ireland) conference series at both DIT, Dublin and the University of Ulster, Londonderry in 2010. Ricky attended and completed an artistic residency at STEIM (Studio for Electro-Instrumental music) in Amsterdam in 2010, during which time he worked and collaborated on doctoral research and gave a series of performances across mainland Europe. Ricky is expected to complete his Ph.D. in music in 2011. "Mecca," was released independently in late 2010, and has featured in Guitar Player Magazine, Guitar International Magazine, UK Music Review, and on regional and national radio (BBC Radio 1).